One of the most important features of a home – the living room. For a vibrant atmosphere to spend with the family or entertaining guests, it is the room to be. It is a summarised version of your home in one setting. Most homemakers spend agonising hours over this special part of their home. We at Digg Interiors will make it a breeze for you. Exquisite designs and layouts can be sampled on our 3D designed software for the one with a penchant for the modern. We also have elaborately planned designs of traditional settings, richly adorned walls and decorative ensembles for foyers and halls. Chic and stylish to archaic ornate, our palette of colours and designs will amaze you. Ceilings with recessed lights, pendant lights or chandeliers add that extra touch of sophistication to your décor. Home theatre systems and other hi-tech snazzy ideas can be integrated with ease. If due to space constraints you are unable to have a special room for your books or artifacts, your living room can be designed to include these interests – a glass cabinet or a sideboard in just the right place is all you need. 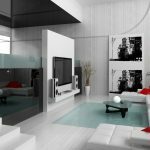 Any and every kind of design layout that you would like to have, can be easily worked upon by our experts to your satisfaction, to make your living room a place of comfort and artistic opulence. Digg Interiors is here to enrich your experience of a Living Room.